Stanford University music professor, Steve Sano, and six-time GRAMMY award winner Daniel Ho, draw upon decades of experience as performers and instructors to bring you 'Ukulele at School, a unique and empowering method that makes learning fun and easy! In this teacher's manual, the material in the student's book is reproduced in full and enclosed in a gray outline so you can see exactly what's presented to the student. 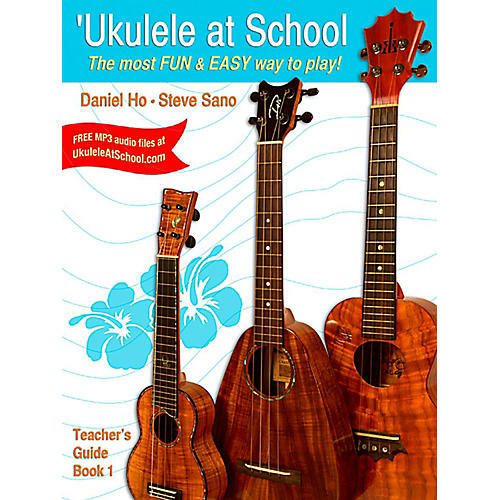 Free MP3 audio files are available at UkuleleAtSchool.com.